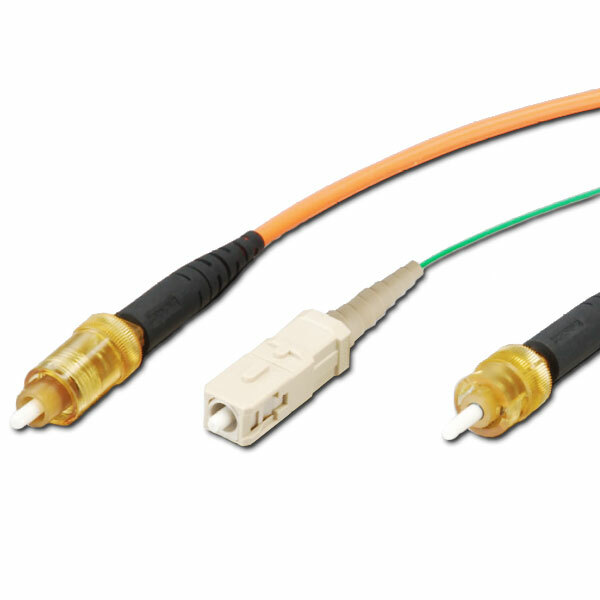 Corning UniCam No-Epoxy/No-Polish Connectors allow for field termination without the need for epoxy and polishing, eliminating much of the time and expense of traditional connectors. It incorporates a specially selected fiber stub that is fully bonded into the ferrule and precision polished at the factory. The other end of the stub is precisely cleaved and placed into an internal mechanical splice element flooded with inert index matching gel. Features include: installation in 1 minute on 900 um fiber, no consumables required, Universal tool kit terminates multimode and singlemode fibers in ST compatible, SC, LC, FC and MT-RJ connectors, and excellent reflectance performance. UniCam ST Composite MM 62um.